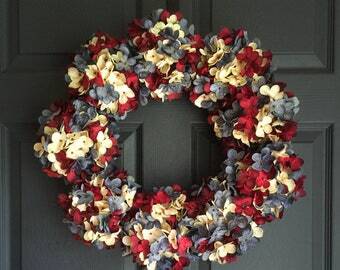 A SPECTACULAR Blended Red White & Blue Hydrangea 4th of July WREATH with BURSTING Blended artificial hydrangeas. 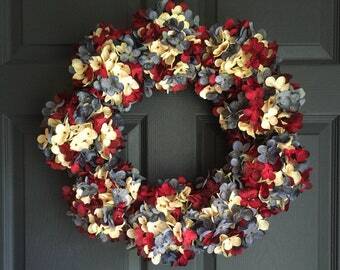 Handmade in the USA with artificial hydrangeas in vintage red, vintage white with exclusive denim blue colors. 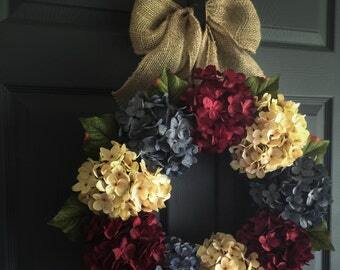 Memorial Day Wreath, Patriotic Wreath, and Independence Day Celebration Decor! 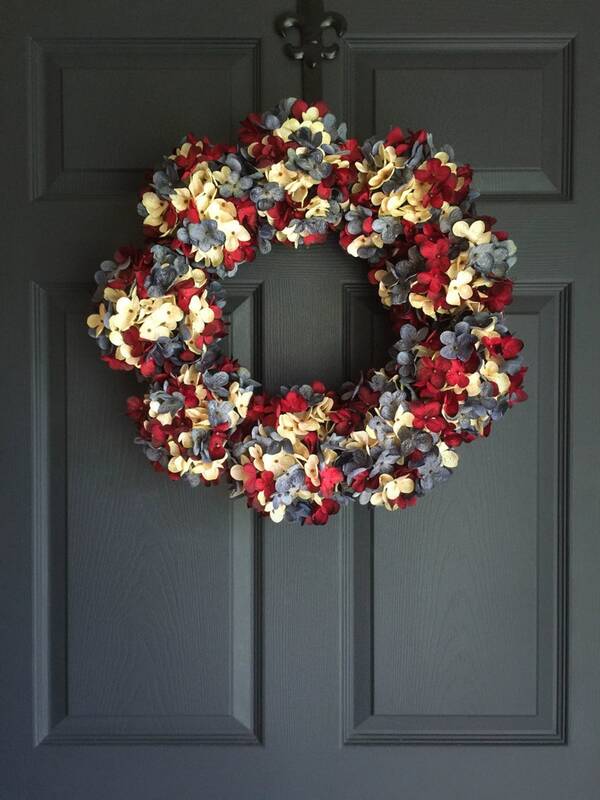 The wreath is just ok. It does not look like the picture at all. 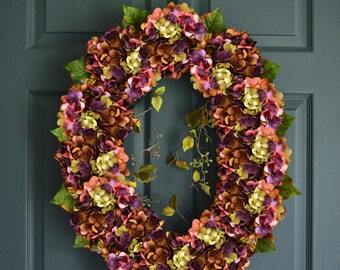 The picture shows clusters of hydrangeas, which I love. 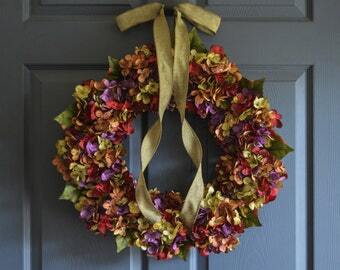 The actual wreath does not. 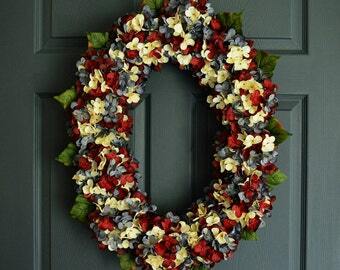 I am sorry to hear you are disappointed with your wreath. I do have a return policy if for any reason you are dissatisfied with your purchase. I do ask if for any reason a customer has a problem with their purchase, to let me know so I have the opportunity to address the issue. But, unfortunately, I didn’t hear anything from you until this review. Again, I am very sorry you are disappointed with your purchase. Beautiful product, but it took a long time before it finally shipped.